Welcome To Satyam Palace, Pushkar. Satyam Palace is a premium hotel situated very near to the pushkar fair grounds. Satyam Palace is an ultra luxurious hotel built in an age old Rajasthani period style of architecture and decor. utmost care and effort has been taken in building this prime hotel so that it comes near to the expectation of the travelers visiting Rajasthan and specially Pushkar. 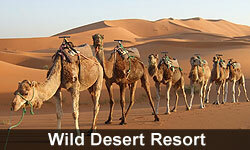 It has 39 Deluxe rooms and suites the classification is as follows. 24 deluxe double rooms, 12 Maharani Suites and 3 Maharaja suites. Satyam Palace hotel is promoted by the famous and well known Rasal Group. 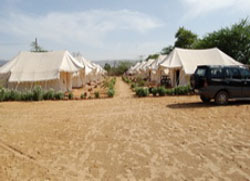 Besides having 39 rooms we also offer Ultra luxurious and modern Swiss tents on the premises, having all the facilities like attached Bathroom with running hot and cold water totalling 20 in numbers. The total area of the hotel premises is around 10000 sq mts. 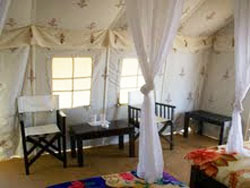 we invite you to stay with us for a pleasant and comfortable expeirence and enjoy the true Rajput hospitality.